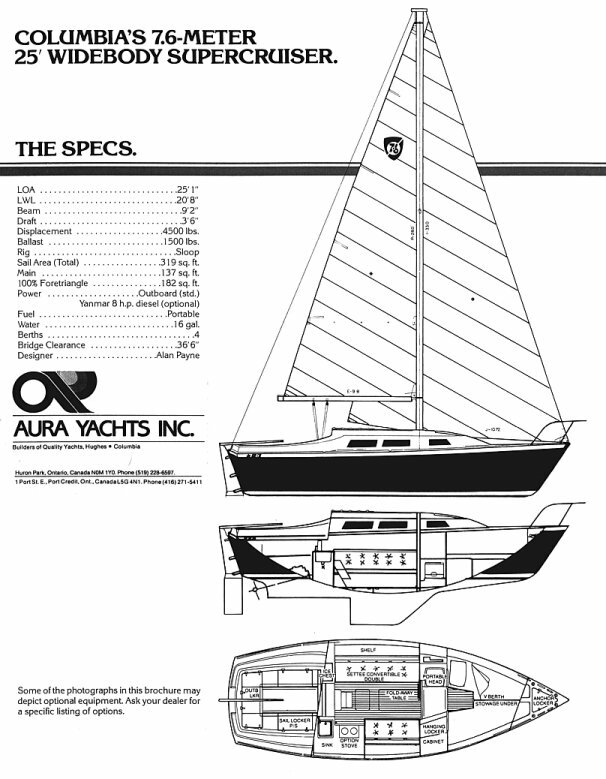 The Columbia 7.6 was designed by an Australian America’s Cup designer, Alan Payne. It was one of a series of yachts in the new cruiser line of boats, deemed the "wide body super cruisers", built by Columbia. A 7.6 Brochure from the Aura days. The following specifications come from an Aura brochure. Designed Load Waterline Length     20'8"
Sail Area (Total)                   319 sq.ft. Literature available for the C-7.6.